For a capital city and a major financial center, London stores, restaurants, bars, and nightclubs surely close doors early. 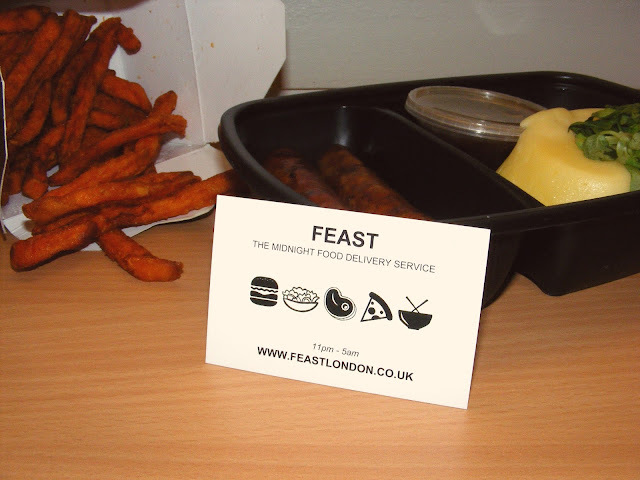 And I wasn't the only one to notice this - Simon Pusey, founder of Feast London, set up the late-night delivery company with all the London night owls in mind. "I became increasingly frustrated with how bad we are after 11pm here. London is a massive international metropolis with professionals and students from all over the world. 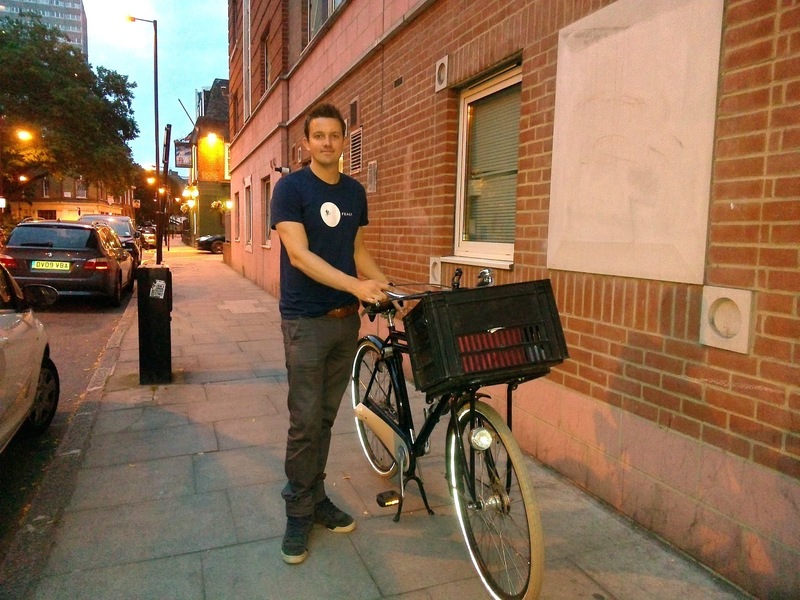 Yet finding any decent food after 11pm is almost impossible," says Simon. Feast started in July of this year, with Simon delivering meals from two 24-hour restaurants by pushbike between the hours of 11pm and 5am. 6 weeks on, the business now has proper scooter drivers servicing central London, and Bamboo Box meals were added to the menu. 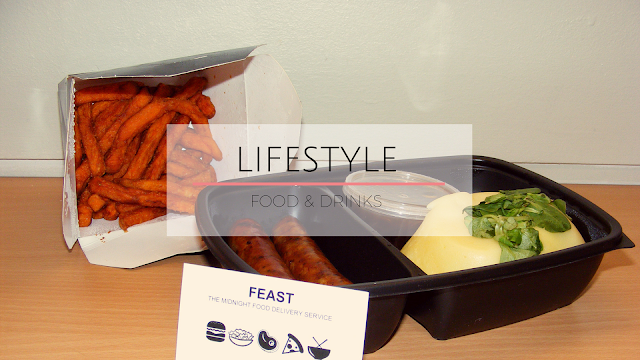 Feast is looking to add at least 2 more restaurants to the website before they expand to Soho and Balans in November. Simon was kind enough to deliver some Cumberland sausages, creamy mash and home-made red onion and ale gravy* while I was in the process of moving to London and settling into my new job. Check out Feast London's website to see what's on the menu. Loving the concept of this!! :) Wishing Simon and Feast the best of luck!